The benefits of a clean floor are numerous. Not only does proper floor care prevent accidents and reduce company liability, it also presents a positive first (and continued) impression. Determine the cost per square meter of coverage, rather than price per litre. Price per litre is an obsolete yardstick for determining a floor coating or cleaning solution’s “cost”. Calculating the cost per square metre coverage is a more accurate reflection of what your floor finish/maintenance budget will be. 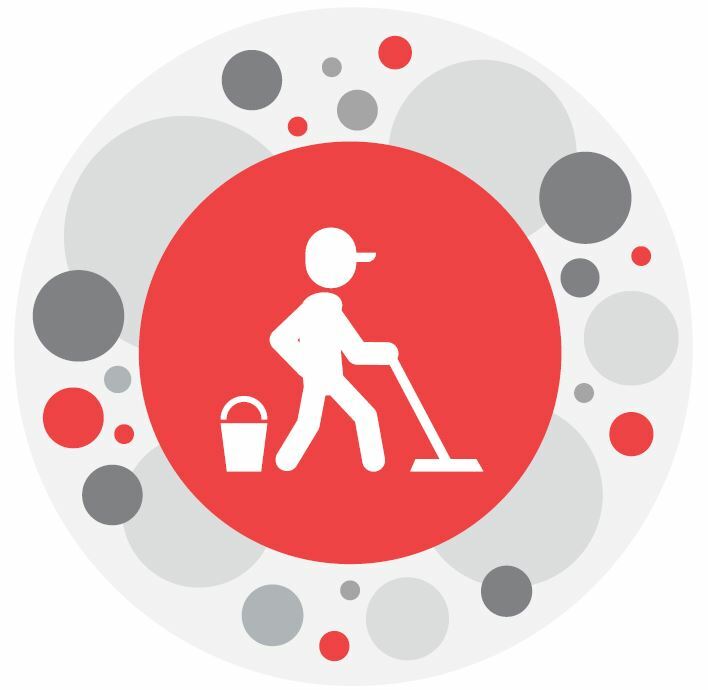 Assess the long-term labour and chemical expense of an existing floorcare programme as well as the annual labour and chemical costs based on your choice of floorcare products, and then determine which system provides the best total value. A floor maintenance programme comparison based on figures will highlight whether a less expensive product is costing you more in the long run. There is a hand-in-glove relationship between the type of floor covering, the speed of the floor machine and proper selection of finish, so choose a compatible floor care system, including a finish designed for the application and burnishing speed. Flooring manufacturers provide recommendations regarding equipment, chemicals and cleaning frequency. Follow their advice. Calculate the cost of labour, versus the technology which may be required to maintain the desired finish. How difficult is the finish to remove? Stripping is one of the most labour-intensive floorcare procedures. Poorly formulated floor finish products are hard to strip, driving up labour costs, requiring prolonged exposure to potent strippers. Well-formulated floor coating products don’t require conventional stripping, only the application of a specially formulated remover which dissolves the damaged or soiled finish, leaving the sealer intact, and reducing labour expense. FloorworX has spent a significant amount of time researching and selecting the right type of maintenance equipment and chemicals for their superior floor coatings. The FloorworX Floorcare range was developed in conjunction with Safic Environmental Solutions to provide tailored solutions for each FloorworX floor range. Greatly extend the lifespan of your floor by choosing the right maintenance solution.